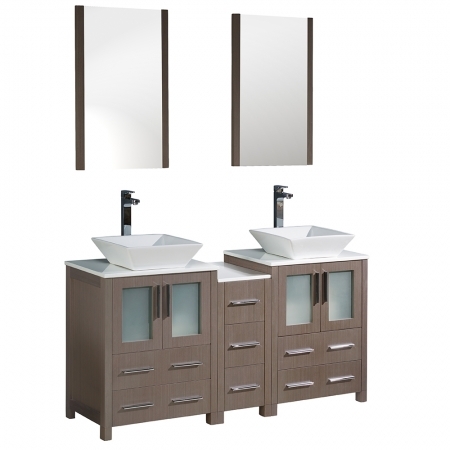 The unique configuration of this double sink vanity provides another level of counter space for both users as well as a bank of three drawers for shared storage purposes. 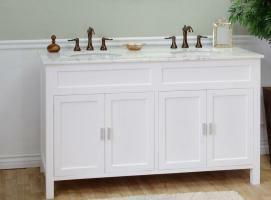 This, along with all of the extra storage within the two double door cabinets and four drawers, will ensure plenty of space for everyone using the bathroom. Aside from all of this great storage room, this piece has a very sleek modern styling that will go well within many types of bathroom décor. 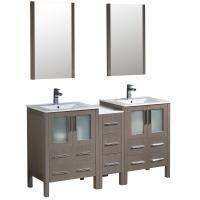 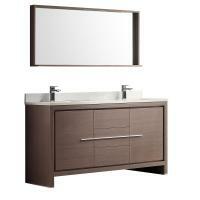 This selection has a gray oak finish accented with chrome hardware pulls and a frosted insert panel within the doors.